Hero! Pilot! Avenger! Captain Marvel, Earth's Mightiest Hero with an attitude to match, is back and launching headfirst into an all-new ongoing adventure! As Captain Marvel, a.k.a. 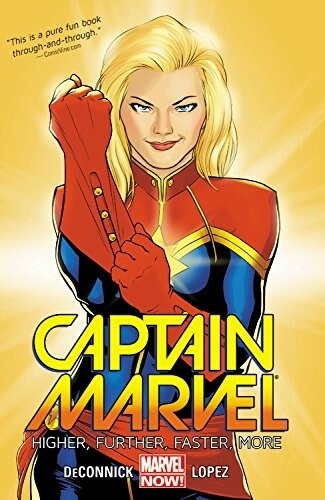 Carol Danvers, comes to a crossroads with a new life and new romance, she makes a dramatic decision that will alter the course of her life - and the entire Marvel Universe - in the months to come. But as Carol takes on a mission to return an alien girl to her homeworld, she lands in the middle of an uprising against the Galactic Alliance! Investigating the forced resettlement of Rocket Girl's people, Carol discovers that she has a history with the man behind the plot. But when the bad guy tries to blackmail Carol and turn the Avengers against her, it's payback time! Guest-starring the Guardians of the Galaxy! 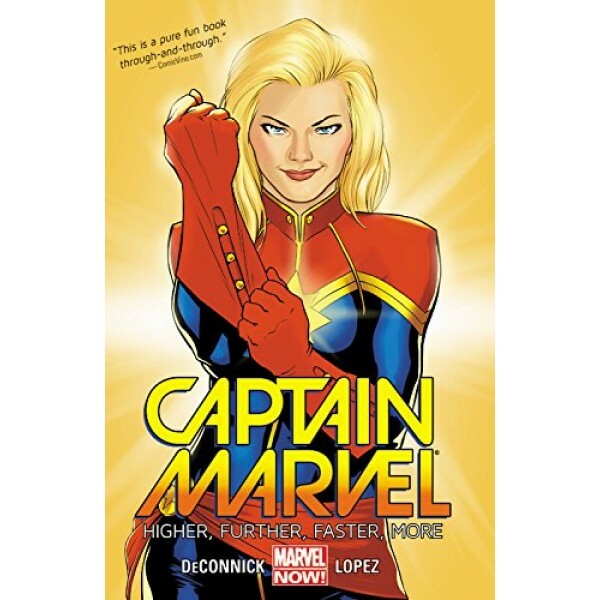 This volume collects issues 1 - 6 of the new Captain Marvel series. Fans of the series can find issues 7 - 11 in Captain Marvel: Stay Fly and issues 12 - 15 in Alis Volat Propriis.